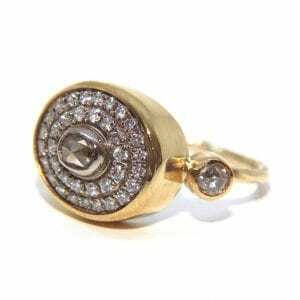 Simply stunning double halo ring pave set with rose-cut diamonds in 18k yellow gold presented on a fine gold ring: quirky, organic, elegant. 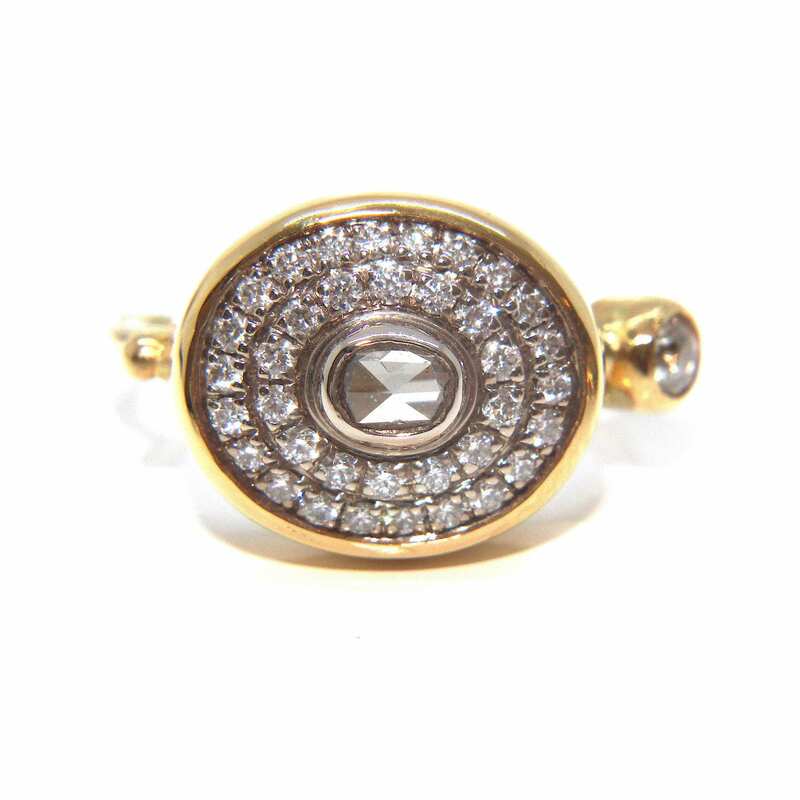 We thought you would like to know has been eyeing up our 18K 22K Yellow Gold Oval Diamond Ring for some time now and has requested we bring it your attention. 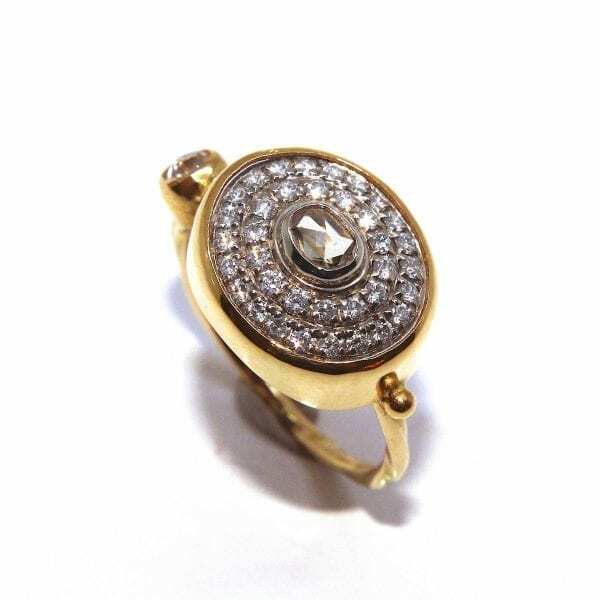 What's your question about 18K 22K Yellow Gold Oval Diamond Ring? This stunning organic double-halo ring centres around an unusual oval rose-cut champagne diamond. 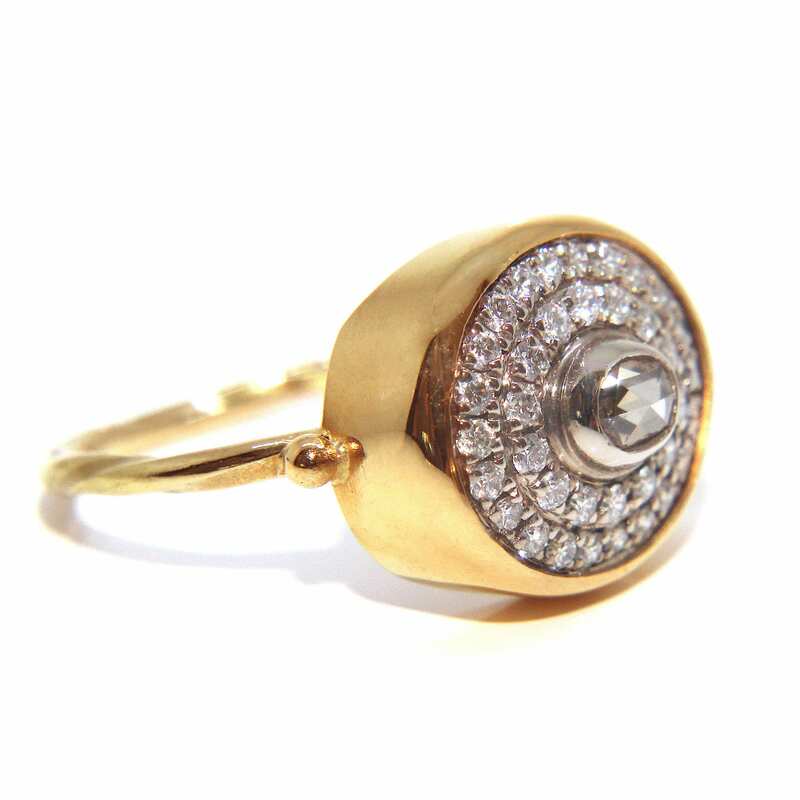 The slightly irregular shape of the halo is set beside a round brilliant cut diamond on a slim band in luscious 18k and 22k yellow gold. Though this ring is stunning as an engagement ring we love it worn casually on an index finger. 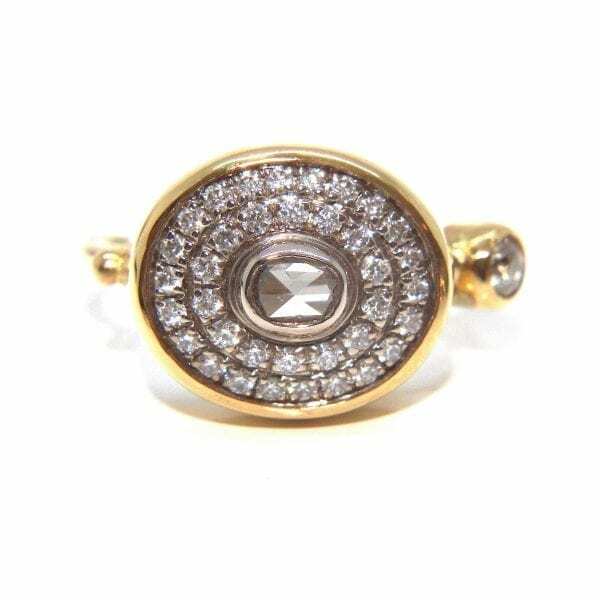 Ring Size: Band Width: Setting Dimensions: mm x mm.